Here is where the problem lies for the Christian. On the one hand, the world needs grown-ups, now more than ever. But if growing up is mainly about self-sufficiency and self-reliance, the gospel runs diametrically opposed to both of those things. 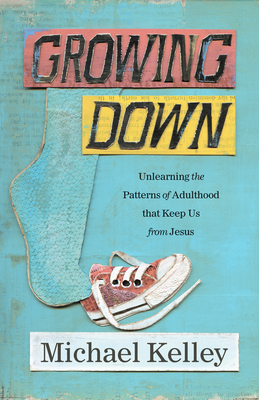 The gospel tells us, in fact, that we need to "grow down”—to become like children. Michael Kelley es el director de Discipulado en Lifeway Christian Resources y el autor de Aburrido: Encontrando a un Dios extraordinario en una vida ordinaria. Entre algunos de sus trabajos previos se incluye Vocabulario Santo, Los fuertes refranes de Jesús y Los miércoles eran bastante normales. Posee una Maestría en Divinidad de la Escuela de Divinidad Beeson en Birmingham, Alabama. Michael y su esposa tienen tres hijos y viven en Nashville, Tennessee. Michael Kelley is director of Discipleship at LifeWay Christian Resources and author of Boring: Finding an Extraordinary God in an Ordinary Life. His previous works include Holy Vocabulary, The Tough Sayings of Jesus, and Wednesdays Were Pretty Normal. He holds a Master of Divinity degree from Beeson Divinity School in Birmingham, Alabama. Michael and his wife have three children and live in Nashville, Tennessee.